Learn About One Of The Most Effective & Easiest Ways (15 min per day) To Detoxify The Body From Chemicals, Toxins & Poisons of All Kinds! Sweating has been used by cultures all over the world for thousands of years. Sweating is one of the most effective ways to get rid of mercury, toxins, heavy metals and chemicals of all kinds. Wouldn’t you like to be able to sweat and burn calories without having to go on a run for an hour or lift heavy weights at the gym? Sweating without producing lactic acids is one of the most effective ways for discharging heavy metals from your body. Unfortunately in our culture we do everything we can to prevent sweating. We live and work in air conditioned environments, we wear deodorants to prevent the body from sweating. Sweating using the FAR Infrared technology actually causes fat cells to oscillate and heat up to the point where it pulls the toxins from the fat cells and brings them up to the upper layer of the skin. It’s a beautiful way to cleanse and detoxify the body if you want to prevent colds and flus and even life threatening diseases. If you are already dealing with some of these health challenges there’s no better way to help flush the body from these unwanted toxins that have built up over a lifetime. Listen to our commercial for this sauna! There’s really no way to not exposing yourself to all of these toxins and chemicals in our modern world. You would have to live in a bubble. Nobody can live like that. The problem is that these toxins build up over time and store themselves mostly in our fat cells and cause all kinds of issues with our health as we age. Reducing your exposure to toxins is key but it’s impossible to live in a completely sterile environment. Moving forward it’s going to be more and more imperative that we start using creative ways of flushing these toxins out of the body. And sweating is by far one of THE most effective ways of eliminating fat soluble toxins from our bodies. The build up of these environmental chemicals and poisons have been linked to all known diseases. Cutting edge medical practitioners who are in the know, understand this connection. These are well respected people like Sherry Rogers M.D., Dr. Doris Rapp, Dr. Hal Huggins, Dr. Nenah Sylver and Dr. Hulda Clark just to name a few. It’s absolutely critical to remove these poisons from your body if you want to live a long, healthy and disease free life! Listen to our shows with Phil Wilson. Here’s a quote from Dr. Sherry Rogers that is very poignant. Sherry Rogers, M.D., Northeast Center for Environmental Medicine – internationally known expert in environmental medicine and author of; Detoxify or Die, and Tired or Toxic? Please email Justin for extra shipping cost to Canada, Alaska, Hawaii and the rest of the world. Or…purchase directly from the Momentum98 Website! So far I’ve only painted one side of the picture. And that is the removal of toxins from the body. 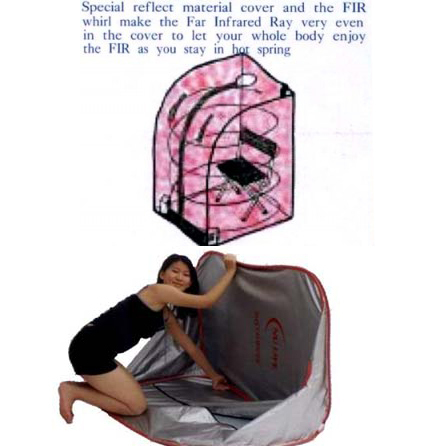 That alone is reason enough to purchase one of these Far Infrared Saunas. If you’re interested you can click here to checkout Far Infrared Medical Facts & Research Data. This is how your sauna will arrive! Perfect for reading a book during your session! Maggie wanted to get in on the action! 🙂 Hey dogs need to sweat out toxins too! There are many reasons why I like this particular sauna but some of the reasons include the price, durability and effectiveness of this particular sauna. Super easy to clean when you’re done. Revolutionary ceramic semiconductor Technology – only one in the world ! 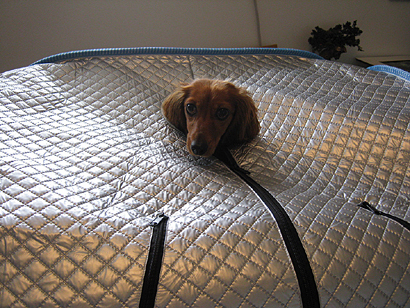 As you can see the benefits of the Relax Far Infrared sauna are too many to list. 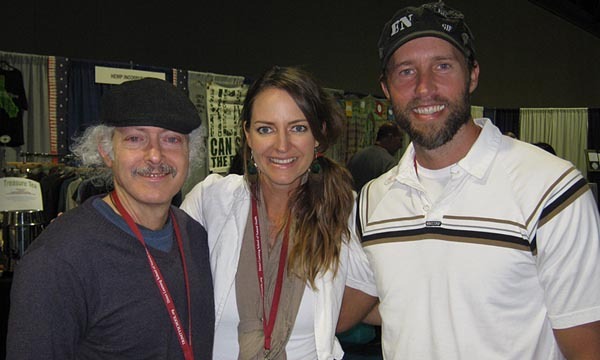 I love Phil Wilson and what he’s doing and enjoy supporting his work. 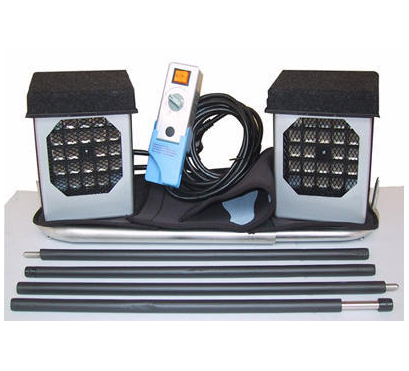 We here at Extreme Health Radio stand behind this sauna 100% and think you will absolutely love what it is able to do for your health. I’m a big proponent of adding easy and simple health disciplines into your daily routine that are enjoyable. Sitting down or laying down in this sauna will do incredible things for your health. Imagine all the diseases and sicknesses you can prevent by becoming healthier each day using this product. Think about it, if you were to use this sauna every day for 15 minutes for the next 30 years. You will have spent 2,737 hours or roughly 114 days sweating and probably hundreds of pounds of sweat filled toxins from your body. You will literally be a completely different person in 30 years if you were to sit down and sweat for 15 minutes per day. Consider purchasing one of these saunas today and get into the habit of sweating out all of these toxins so you can be healthier, happier and live a long disease free life. 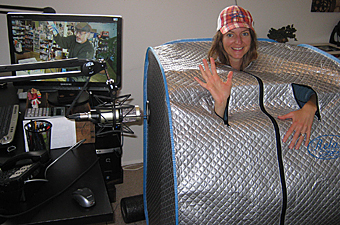 I think you’ll really love this particular Relax Far Infrared Sauna created by Phil Wilson. If you’re interested in some more benefits of this sauna checkout this PDF with TONS more information that I think you’ll enjoy. Check Out Some More Written Testimonials! Chemical Sensitivity & Muscle Problems being resolved. Dear Phil, My husband and I are so pleased with the Relax Sauna. We have never sweated so effortlessly before. We have a very nice wooden FIR sauna, but we would have to get it so hot before we would start sweating — and, my head would always get too hot. We both love having our heads outside the sauna (although you can put a towel over your head while in the sauna). We also like the fact that we can turn on one or both heaters at a time. Sometimes I just want to sit in the sauna for an hour on one heater and soak up the FIR rays. Then, I’ll put both heaters on to finish up the last 10 minutes. Other times I like to start out with both heaters on, get hot, and then turn it down to one heater to finish up. Also, it is great being able to partially open the zippers to control the heat inside the sauna. Sometimes I feel like reading, so being able to put my arms out is great. It is amazing how light and portable this unit is. If we ever go on a trip, we’re taking our Relax Sauna with us! The heaters put out a very relaxing “soft” heat. We feel so relaxed and warm inside our bodies afterwards. My muscles feel so much better after a session in the sauna. I have had chemical sensitivities and muscle problems for years, and your sauna is really doing good things for me. And I have to tell you, you have been so helpful. It has been a real pleasure doing business with you. I am telling my friends they need to contact you and get your sauna. 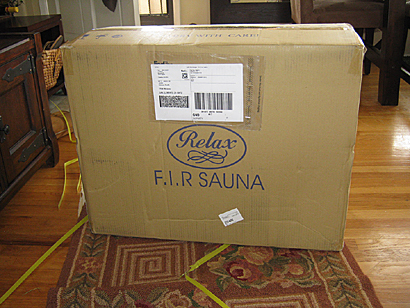 My name is C. I purchased a relax sauna from you about 3 weeks ago. Prior to using the sauna, I used to suffer from constant hick-ups, hours of yawning, fatigue, and headaches. I used to have to go in frequently to my doctor to measure my oxygen saturation levels and do oxygen therapy throughout the week. Three days before I started using the sauna, I had just gotten my latest test – only 67% oxygen saturation. I started to use it 15 minutes daily. I just went to see my doctor (3 weeks since my last visit-longest ever) and my levels of oxygen saturation read at 100%. I haven’t had any headaches, fatigue, yawning, or hick-ups. I feel amazing. I would really like to get this booklet to read. Thank you for your time. The Relax Sauna is the sauna I have been looking for. I have been in it several times. 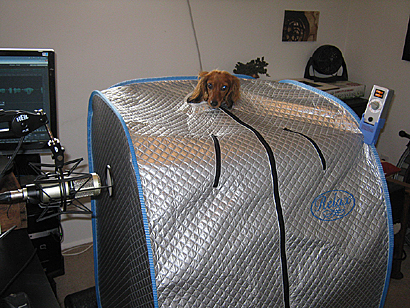 I have a group of friends that are interested in the relaxed portable sauna. One friend bought one on ebay. It is nothing compared to this one. I have used the Relax Sauna for 6 years. As you learn about health you learn how unhealthy it is to heat the head. This is productive and safe and you are not re-breathing the toxins your body just released. I leave it set up all the time so it can be used everyday. The Relax Far Infrared Sauna that I purchased at the show is awesome. I have been looking for the best sauna for awhile now. 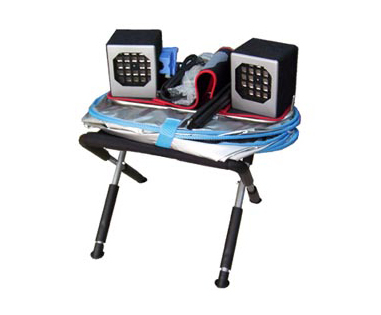 It is the “real deal” and as far as I know this unit is the only one with medical device technology in the states. I especially love the flexibilty of the sauna. 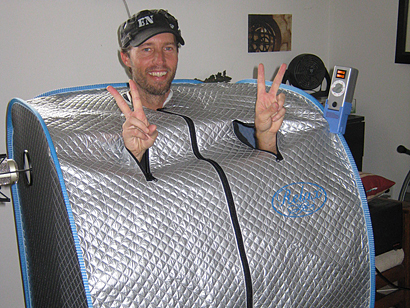 The most important feature is that this particular sauna has a patented semi-conductor chip (which is the differentiating factor) which allows the absorbable FIR energy – the good 4-14 microns at temps up to 140-170 degrees – good for the body and with no harmful near and medium infrared rays. Other far infrared devices do not have this semi-conductor chip and hence do not generate far infrared light at high temps. The amazing thing is that even though one sits in high temperatures, it is extremely comfortable. It is uniquely compatible with our energy and easily absorbed by the human body. You can actually feel its healing properties while sitting in the sauna. I have learned so much since using this sauna. I plan on purchasing another unit soon for a second location I am opening. In 7 days, I lost 4 pounds. I am sleeping better. I feel I am detoxing, as I am kind of tired, in a good way. The Pain around by liver that I have had for a while, is almost gone. I use the Relax Sauna 15 minutes every morning, and 20 minutes before I go to bed. I really Love the Relax Sauna. I think I have 2 friends who want them now. About six weeks ago I purchased the Relax far infrared sauna and began using it almost every day. I only wish I had photographed my elbows and arms covered in psoriasis because now they are almost 100% healed! I’m stunned because I have tried so many paths and nothing knocked it out. I’ve also come to enjoy the ritual of the sauna. After my 20 minutes zipped up whatever stresses I feel in me dissolve and I am calm. I follow with a shower beginning with lukewarm water and finishing with a cold blast that makes my skin feels brand new. I am spreading the word because I think that so many people might find that a Relax sauna is a far healthier alternative to masking symptoms with meds as I once did. I lead a very healthy lifestyle but the sauna is just what I needed to take me to the next level. The best purchase I’ve ever made! ps I chose the black tent version because of it’s durable looks. If you have any questions about cancellations, refunds or returns, please see our return policy. Thank you!